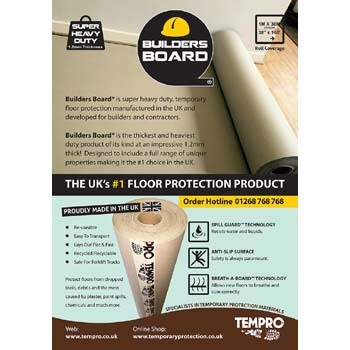 Builders Board® Breathable Floor Protector Super heavy duty breathable and spill resistant floor protection. 1.2mm thick!! From only £39.95 per roll!